If your objective is to provide the best decision-making for your organization and to take a global view of your business, expanding your sights beyond ROI, and educating other decision-makers, Cost Effectiveness Analysis can make your organization more competitive and more profitable. Today, a simple return on investment, ROI, calculation will not provide needed nor valid insights. However, the use of cost-effectiveness analysis (CEA) would provide quite useful, valid and actionable information. CEA uses decision tree models to compare not only cost outcomes but effectiveness outcomes of various treatments on patient health and even on future healthcare usage based on various current actions. It can further be used to determine how effective a set amount of money spent on a particular treatment or method will impact outcomes (i.e. willingness to pay calculation). CEA models are flexible and can incorporate a wide variety of scenarios. As opposed to Big Data, CEA makes use of Broad Data so that comparisons of treatment modalities can be evaluated using real life outcomes. It can compare effects on a discrete problem such as a cancer tumor, or on chronic ongoing diseases such as COPD or CHF. As the delivery of effective yet profitable, or at least cost effective, healthcare becomes more challenging, methods for evaluating treatments and programs become more necessary if not essential. Methods must be implemented to evaluate these new treatments and programs once they are in place so adjustments can be made. CEA enable organizations to both initially evaluate and subsequently monitor new methods and programs in a meaningful way. 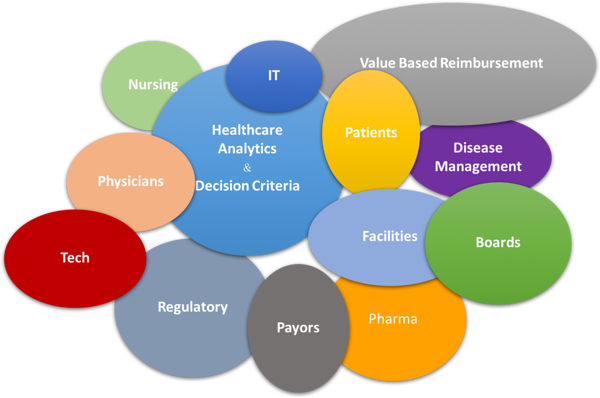 CEA can be used in revenue cycle decisions, health information technology, capital equipment acquisition, new treatment evaluation, disease management evaluation, utilization management, and nearly every area requiring financial analysis or justification.